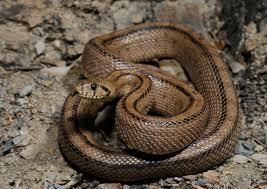 Numerous articles have appeared in our medical journals during the past few months relative to treatment of persons bitten by venomous reptiles, especially the rattlesnake. Whether the rattlesnakes found in the marshes of Indiana are in any respect different from those found in Oregon, or in the mountains of Pennsylvania, I do not know. Te bite of the Indiana rattler has been known to prove fatal to both man and beast. Notwithstanding we have growing in our woods and fields a small plant; which I believe to be a specific for the treatment of persons or animals bitten by the rattlesnake. From my own experience and observation in the use of this remedy, I believe it to be a positive cure in all cases if exhibited in any reasonable time. I have never known it to fail in a single instance, even where the alcoholic treatment and many other kinds had failed. The plant referred to, the roots of which are used in the treatment of snake bites, or a tincture made from the roots, is the Sisyrinchium* of the Iris family, I think, and is said to have been used by the Indians in treating snake bites, by bruising and moistening the roots and applying to the wound. I am not aware of its ever having been used as a medicine by the profession, and so far as I know, I am the first to prepare and use it in the form of a tincture. By your kind permission I will report, through the columns of your valuable journal, a few cases Sisyrinchirm. CASE 1.Bessie A., aged six years, while playing in the yard on a farm, some twelve miles in the country , was bitten in the hand by a rattlesnake which was killed a moment after by the mother of the little girl who was attracted by the screams of the child. Sixteen hours after, I arrived, everything having been done in the meantime that had ever been heard of by the parents, even to poulticing the wound with entrails of a black chichen. The little sufferer was, indeed, an object of pity. The hand and arm were swollen almost to bursting, the swelling extending to the shoulder and spine, being of a bluish-black color as if dreadfully bruised. This discoloration extended over the back to the hips. Skin hot and dry, face flushed, pulse quick and hard. Child unconscious. I felt that the case was hope less. But through the earnest entreaties of the mother, I proceeded to do what I could. Saturating a piece of cotton with the tincture I had prepared, I bound it on the wound; then dropping twelve drops in a glass of water I directed that a teaspoonful be given every hour, the compress to be renewed every hour also, until my return. I confess I had little hope of seeing my little patient alive again, but on my return the following day I was much rejoiced to find a decided change for the better in the condition of the little sufferer. The swelling was not nearly so tense, the fever had subsided, the delirium gone, and the danger seemed past. The treatment was continued, and a speedy and permanent recovery followed. CASE -2. 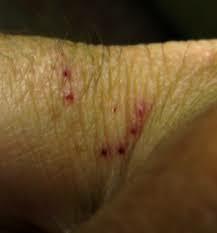 Burt Whitten aged ten, while out in a marsh with a number of older boys, gathering huckleberries, was bitten in the right ankle by a rattler. 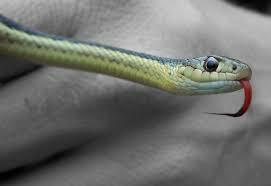 He was so frightened when he saw the snake, as it bit him, that he ran all the way home, a distance of nearly a mile although the day was very hot. This patient came to my hands after the usual alcoholic treatment for twenty-four hours by an allopathic physician, with the patient growing worse all the time. I found this patient in about the same condition as the first. The leg and foot was enormously swollen and of the same general appearance; the foot, calf of the leg and thigh were black; the whole body was very red, hot and dry; face dark red; pulse quick and hard; patient delirious but would cry out if touched. Fifteen drops in a glass of water. Teaspoonful every hour, with cotton saturated with the tincture applied to the wound. In this case the change, I was informed by the father, was quite noticeable in two hours. The boy had been in a wild delirium all night and up to the time he received the first dose of Sisyrinchium. After the second dose he became quiet, and in two hours the delirium had passed away. Under this treatment the patient was able to be out on the streets again in four days, though the discoloration did not disappear for some time after. Many more cases might be given where this remedy has been given to both man and beast with the same results. I am now waiting for an opportunity to give it a trial in blood poisoning. If someone will volunteer to make a proving of the remedy I will supply him with the tincture.